17 years later and it still stirs my heart. Great show! I think of you as having his same spirit. 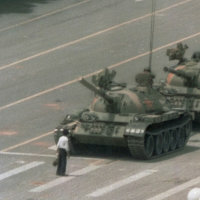 I hope if I’m ever faced with aggressive, governmental intimidation I would stand up so boldly for my basic human rights. Right now, the worst I face is public embarrassment.